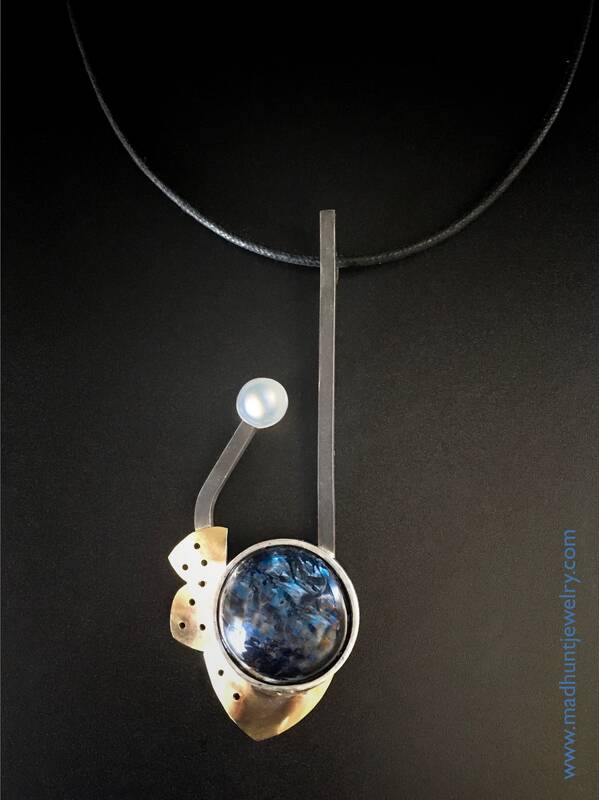 A striking pendant in Sterling Silver & 14K goldfill showcases a unique blue Pietersite round cabochon. Sterling Silver is oxidized for contrast but polished around the Pietersite. Undulating and scalloped 14K Goldfill partially surrounds the cabochon. A lustrous 7mm cultured round Freshwater pearl completes the design. Measures approximately 8.6 x 3.2 cm.